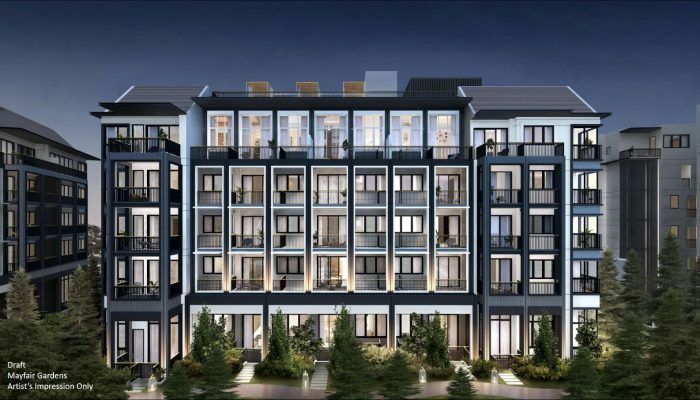 Here we present the upcoming new Mayfair Gardens condo at Rifle Range Road in Bukit Timah, off Dunearn Road. 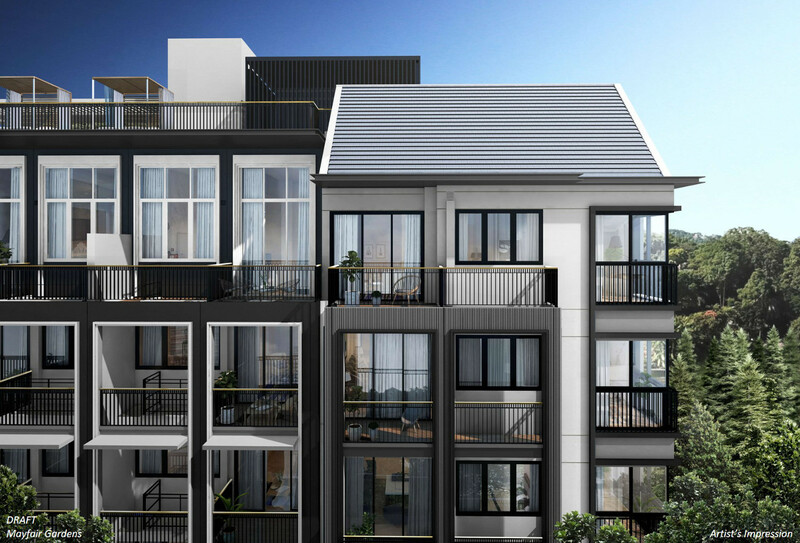 Together with Mayfair Modern, it will replace the former Mayfair Gardens that was sold collectively by public tender in November 2017 to Citrine Property, subsidiary of Oxley Holdings. The reason is that, as the original Mayfair Gardens site is a good size with a small lane running through it, Oxley has split up the land into two parcels. One will be redeveloped into the new Mayfair Gardens condo, while the other will become a separate project (Mayfair Modern). Each will have its own distinct theme. The architecture of Mayfair Gardens takes its inspiration from Mayfair Gardens in London. Not a direct copying, but rather a distilling of its essence to come up with a singularly attractive, classic and elegant design. The location of this site is attractive too. 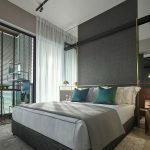 It is in the upscale Bukit Timah area, one of the most expensive pieces of residential real estate in Singapore, and dotted with brand name schools. It is also one of the greenest residential areas, set against the backdrop of the central green lung of Singapore. 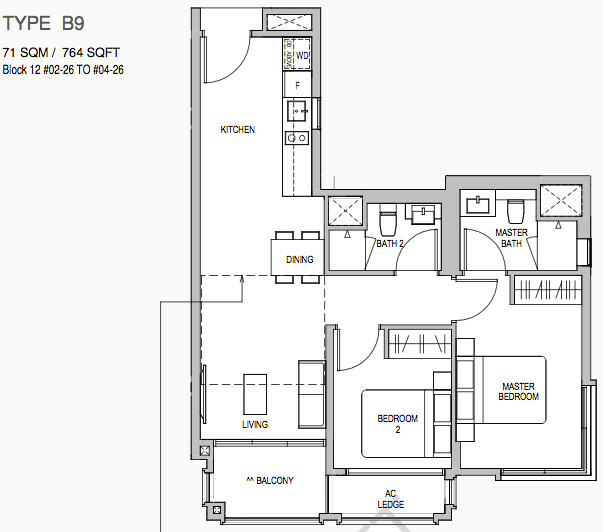 Where the Mayfair Gardens condo is concerned, it has most of the conveniences that one might need around a home. For a start, it is within 480m or 6 minutes walk to the nearest MRT station, the King Albert Park station on the Downtown Line. While most people who stay in Bukit Timah tend to drive, it does make it easier for family members who don’t, like school-going children, to move about on their own. 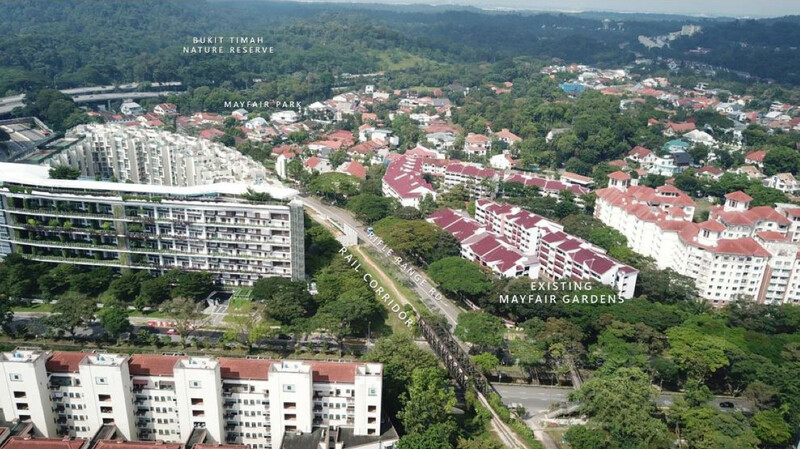 And then, the Mayfair Gardens location is also 400m, 5 minutes walk, to Bukit Timah Plaza. This is the go-to place for the shopping needs of this part of the island. It has all the necessities, like a supermarket, clinics, banks, shops, food outlets, and a food court. Besides that, there is the Methodist Girls’ School within 1 km, that houses both the primary and secondary sections. This is actually within walking distance, about 10 minutes walk. 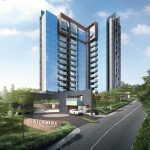 As a bonus, the Mayfair Gardens area is within touching distance of one of the biggest nature reserves in Singapore, the Bukit Timah Nature Reserve and Park. In fact, if you take a 10 to 15 minute stroll up Rifle Range Road, you will come to the 67-hectare Rifle Range Nature Park, that will serve as a southern buffer park for Bukit Timah Nature Reserve. The park is due to complete by 2020, and offers a calming balance to the stresses of modern city life. 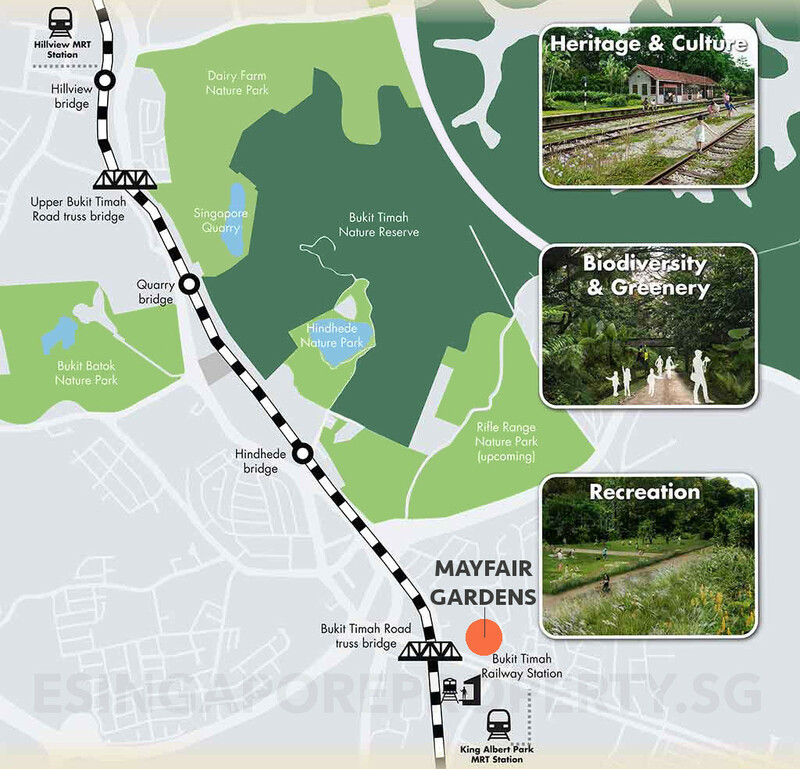 The Rail Corridor (the former railway track land) that runs past Mayfair Garden on the other side of Rifle Range Road, is now a corridor of greenery and biodiversity, as well as culture, heritage structures, and for recreational activities. Project Account MALAYAN BANKING BERHAD for project account number 04013020241 OF CITRINE PROPERTY PTE. LTD. 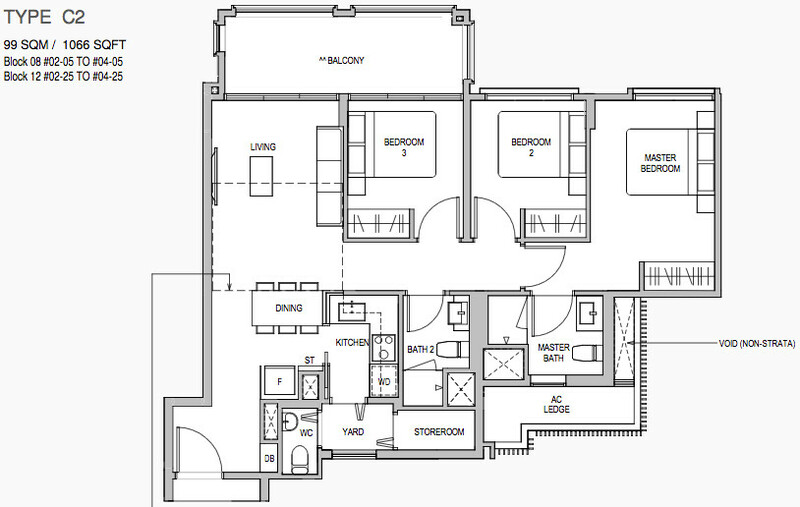 The full set of Mayfair Gardens condo floor plans are now available. Here are some examples. Kindly drop us a note below if you wish for the Mayfair Gardens floor plans to be emailed to you. The Mayfair Garden site spans 116,130 sq ft and is zoned for 1.4 plot ratio, the same density as for landed housing. This makes it a low density site, which tends to give a more relaxed atmosphere and sense of spaciousness. In fact, the rear of the site borders the landed houses of Wilmonar Avenue and Wajek Walk. The blocks here will be 5 storeys high, so there will be lots of space for communal facilities and attractive landscaping. With less than 200 units of residences here, the Mayfair Gardens site should appeal to buyers who prefer a less crowded and more intimate place, that will make for a closer sense of community. 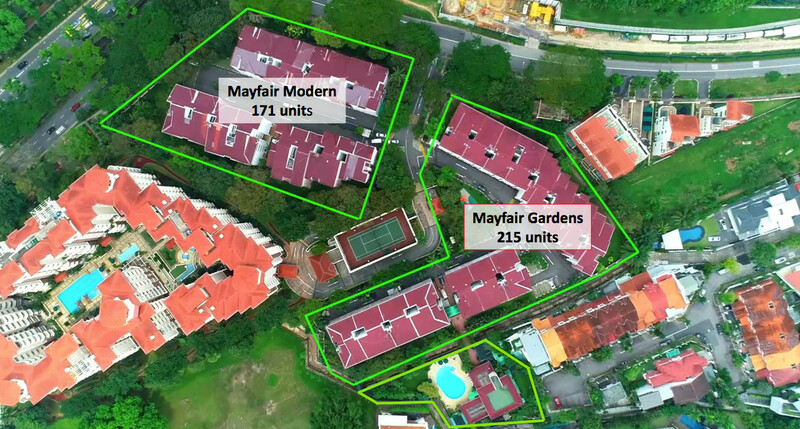 The Mayfair Gardens condo showflat is now available for viewing appointments. 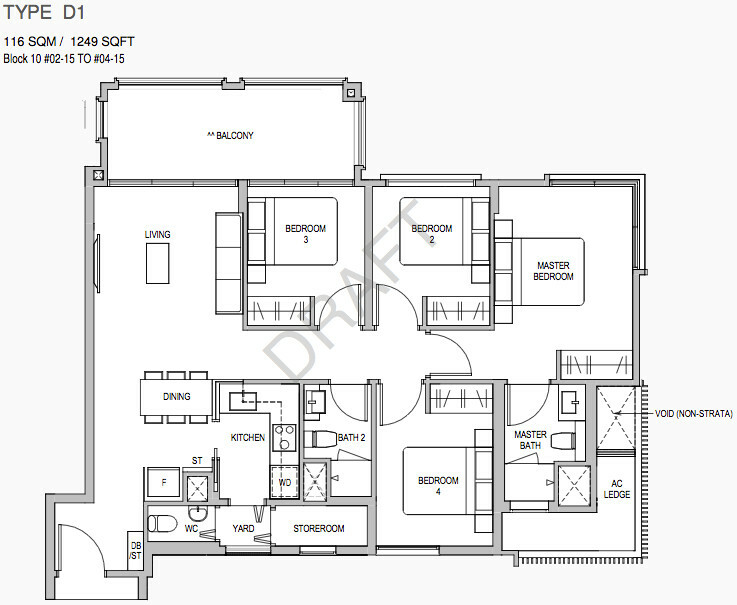 Please drop us a note below if you wish to view the showflat. Each Mayfair Gardens condo unit will be equipped with a Fermax Smart Home system enabled with some core features and a Smart Gateway. This allows you to extend beyond the features provided, that include a WIFI doorbell with camera that you can control remotely, a digital door lockset, and smart air-con controls. The Mayfair Gardens pricing status as at 15 November 2018 is listed below. Works out to around $1,8xx to $1,9xx PSF selling price, quite close to its break even cost of about $1,780 PSF. 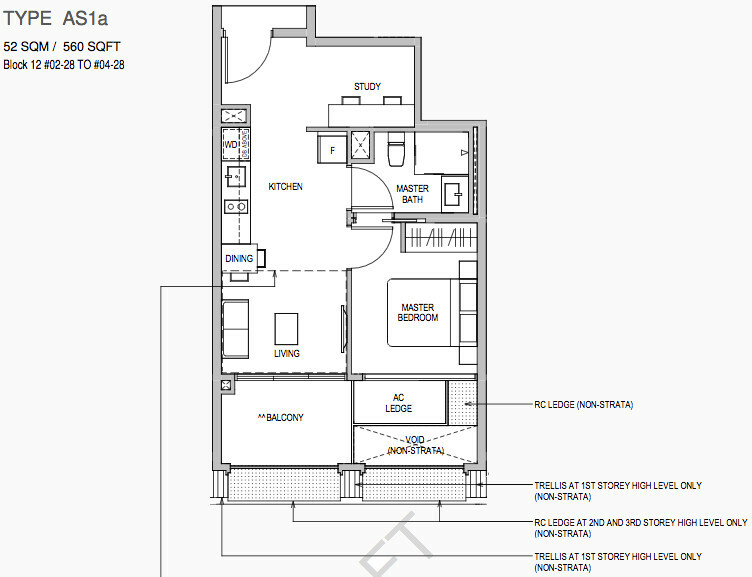 This is certainly a fair bit lower than the expected price for the upcoming Fourth Avenue site (where the break even cost alone is over $2,050 PSF). Please drop us a note via the Contact Form if you wish to be updated when detailed prices are available. Oxley Holdings snapped up this 208,477 square foot plot for SGD$311 million in November 2017. The site originally comprised six residential walk-up blocks with units ranging from 100 to 200 square metres. 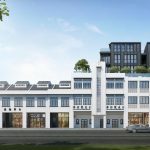 The purchase price, with additional premium of around SGD$52 million to top up the lease back to 99 years, works out to a land rate of $1,244 PSF PPR (per square foot per plot ratio). 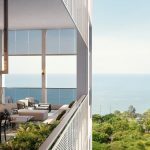 The break even cost to Oxley Holdings, after taking into account all the construction and related costs, is estimated at about $1,780 PSF, based on the maximum permissible gross floor area of 291,868 square feet. This is a favourable cost. It allows Oxley Holdings to set Mayfair Gardens’ pricing at lower than for the nearest upcoming competitive site, with similar attributes, at Fourth Avenue. The Fourth Avenue parcel is from a GLS (Government Land Sale) that cost Allgreen $1,540 PSF PPR for the land alone. After factoring in development costs, the break even for that parcel would be around $2,070 PSF, way above the $1,780 for the Mayfair Gardens site. So the eventual Mayfair Garden selling price will likely be the more attractive one. The Mayfair Garden condo is being developed by Citrine Property, a wholly owned subsidiary of Oxley Holdings. 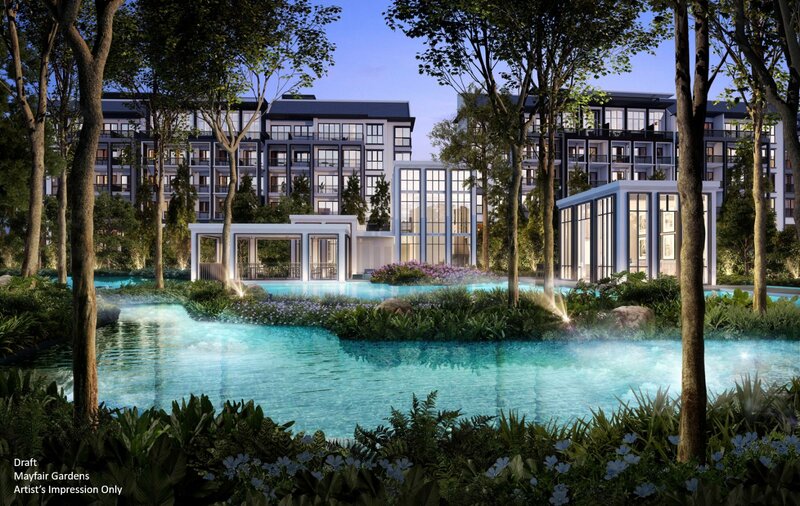 Oxley has turned out to be one of Singapore’s most prolific developers in recent times, with market capitalisation of close to SGD$2 billion as at January 2018. 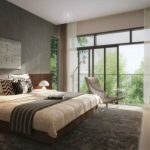 It has now built more than 1,635 homes in Singapore, and been conferred a number of design & development awards, including for a Royal Wharf development in London. 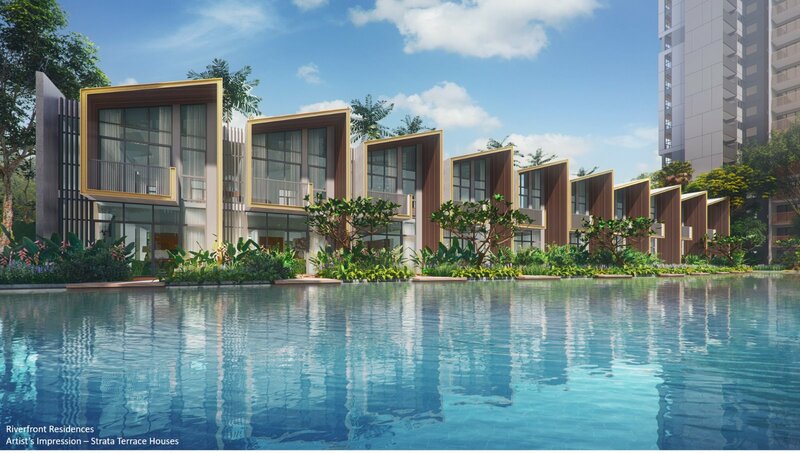 Oxley Holdings is a local Singapore property developer focused on property development and investment. The main criteria governing Oxley’s choice of developments are design quality, prime locations, and desirable lifestyle features. With its keen forsight of market trends, Oxley has achieved outstanding growth. 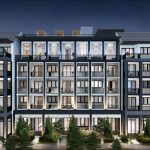 The Group has grown exponentially and now plays a noticeable role in the real estate market locally, with an increasing presence across geographical markets overseas. 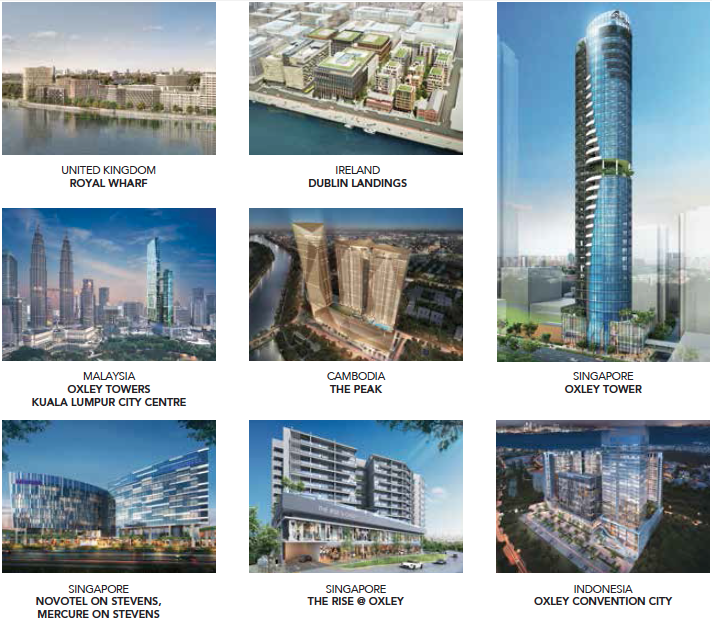 Oxley’s portfolio includes residential, industrial and commercial developments in Singapore, Malaysia, Japan, Australia, United Kingdom, China, Ireland, Cyprus, Indonesia, Myanmar, Vietnam, and Cambodia. As part of the Group’s expansion plan, partnerships have been entered into with strategic developers, local and overseas. In 2013 Oxley acquired a 20% stake in UK’s Galliard Group, a major property management, development, and hospitality group. They undertake a wide range of projects in the south of England, and in London. Subsequently, Oxley took a 40% stake in Pindan Group Pty Ltd, an integrated development group based in Western Australia. It also has a 15% share in United Engineers, a Singapore property development and engineering concern founded in 1912. 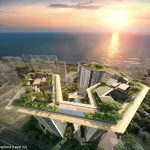 Among the Group’s completed local projects are Loft @ Holland, Devonshire Residences, The Rise @ Oxley, The Flow at Marine Parade, Oxley Tower and Robinson Square. 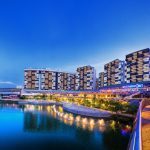 Recent launches are Riverfront Residences, Affinity @ Serangoon, and Verandah Residences (that sold out within 3 months). Location. Located in Bukit Timah along Rifle Range Road just off Dunearn Road. This is one of the oldest and most upmarket residential neighbourhoods in Singapore, dominated almost exclusively by private housing. Comprises a mix of condominiums lining the main roads, and landed housing enclaves inside. Nearest MRT Station. 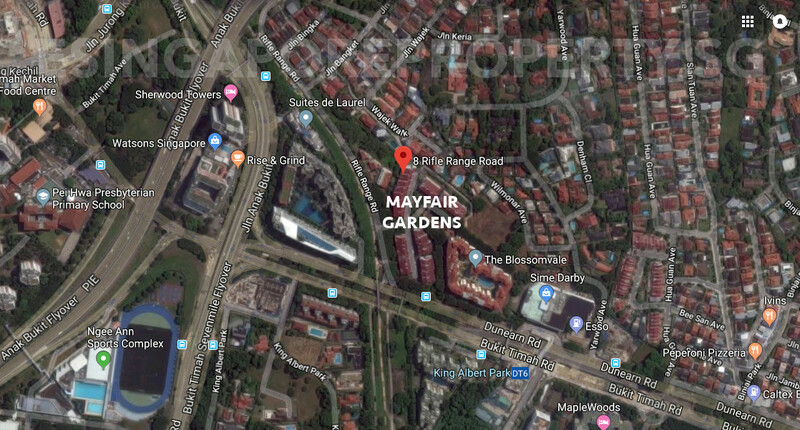 The Mayfair Gardens condo location is 5 minutes or 340 metres walk from the nearest exit (B) of King Albert Park MRT station on the Downtown Line. This takes you to the Singapore Botanic Gardens and Newton, Bugis, and Bayfront at Marina Bay. Shopping, Banks, Supermarkets, Food. One of the strong points of the Mayfair Gardens location is its proximity to a main shopping centre. 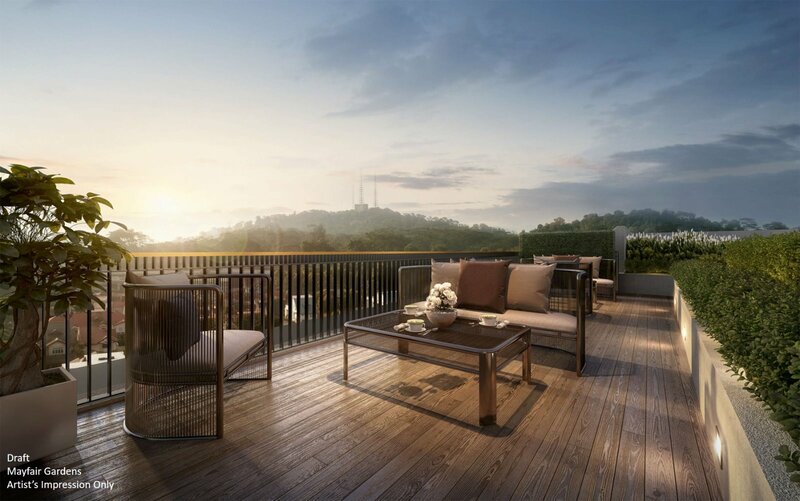 Due to their exclusivity, most upscale residences tend to be away from shopping nodes, but in this case, we are 5 minutes walk to Bukit Timah Plaza. This shopping centre offers a complete range of shops, F&B outlets, and services, as well as a Fairprice Finest supermarket. If you prefer something newer, there is King Albert Park, KAP in short, across the road 270 metres or less than 5 minutes walk away, with several restaurants and shops. Alternatively, Cold Storage supermarket has a store at Sime Darby Centre, 350m or 5 minutes walk away beside the MRT station. Educational Institutions. If there is one thing that the Bukit Timah area is famed for, it is the list of branded schools that line the length of Dunearn and Bukit Timah roads. Schools like Nanyang Girls’ High, Raffles Girls’ Primary, Hwa Chong International, Hwa Chong Institution, the National Junior College, Singapore Chinese Girls School, and the Anglo-Chinese School (Barker Road campus). All of which are accessible via the Downtown Line MRT stations too. Quite apart from Pei Hwa Presbyterian Primary School, and the Methodist Girls’ Primary and Secondary schools, that are within 1 km of the Mayfair Gardens location. Bukit Timah is also home to a number of international schools. Within 2 km of the Mayfair Garden location, at the end of Swiss Club Road, we have the Swiss School in Singapore, the Singapore Korean International School, Hollandse School, and German European School. Parks and Nature Reserves. This location is at the fringe of the biggest nature reserve in Singapore, that surrounds the Central Water Catchment area. The Rifle Range Nature Park, 10 to 15 minutes walk further into Rifle Range Road, is a southern buffer park for the Bukit Timah Nature Reserve. Being next to the nature reserve, the Nature Park provides a complementary forest habitat for biodiversity from the nature reserve. There will be a Sky Garden, an elevated walkway, where you can experience the canopies of a regenerating secondary forest. A former quarry will be transformed into a freshwater habitat with a look-out point for visitors to appreciate marsh birds. 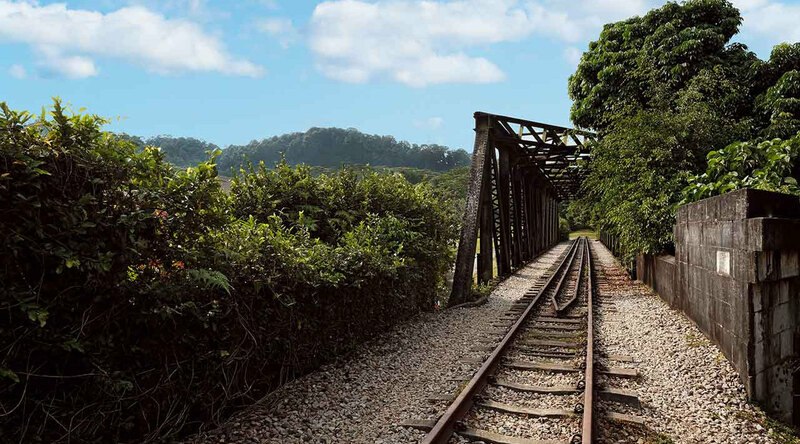 And there will be hiking trails too, with heritage highlights along the way. Accessibility. The Mayfair Gardens location is 5 to 10 minutes drive to the nearest exit to the PIE (Pan-Island Expressway), which takes you onto the expressway network throughout the rest of the island.